1.1 Are there any medications that cause Indigestion? 1.2 Can Indigestion be prevented? The medical term for Indigestion is Dyspepsia. Indigestion is the feeling of fullness during a meal or it’s the discomfort one feels after the food. It can be associated with burning or painful upper abdomen. Also, the symptoms of indigestion usually come and go in bouts. Since dyspepsia is a common problem, it happens to almost everyone from time to time. For example, after having a large spicy meal, the sign would show up. It usually fades away and is not much of concern. But how long does Indigestion Last is variable and doesn’t depends on what you eat or drink? However, some of the chronic sufferers do have serious trouble which affects the quality of their life. What causes indigestion? A disease in the digestive tract may cause indegestion. However, for most of the people, it is the result of eating too much or too fast, eating high-fat foods, or eating during stressful situations. In some cases, Swallowing excessive air while eating also causes the symptoms. Dyspepsia is not a disease and is often a sign of some underlying conditions such as gastroesophageal reflux disease (GERD), ulcers, or gallbladder disease, rather than a condition of its own. It is not a severe problem until and unless it is associated with significant health ailments. Smoking or drinking too much alcohol or caffeinated drinks can cause dyspepsia or even make it worse. People may also have determined indegestion that is not related to any of these given factors. It comes under functional or non-ulcer type which is caused by a problem that was associated with the movement of food through the digestive tract. Some people may have heartburn which is a burning sensation deep in the chest along with dyspepsia. Most of us will get confusion between these two things. 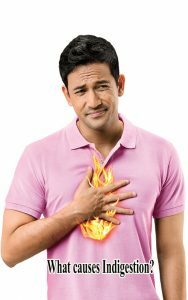 Heartburn can be a symptom of dyspepsia since it is a collection of symptoms, but heartburn is also its own distinct symptom. Just go through the following sections of this article to know the foods that cause Indigestion, How to cure Indigestion during pregnancy and Home Remedies for Indigestion. What are the Diseases that causes Indigestion? In general terms, it is just a sore. It forms because of the erosion of the digestive lining. The acids present in the digestive system causes the erosion. A peptic ulcer is a sore in the lining of the duodenum, stomach, and esophagus. In the stomach, it is called gastric ulcer. It is either brief or could last for hours. It causes difficulty in swallowing ergo indigestion. GERD is a disease in which stomach acid or bile irritates the food pipelining. It is one of the primary reasons for the sufferings of heartburns or acid indigestion. Gastroesophageal Reflux Disease occurs when the undigested food flows back up into the oesophagus. It causes discomfort in breathing and leads to heartburn or acid indigestion. The Stomach cancer is one of the rarest conditions occurring in the body. The cancerous growth forms the inner lining of the stomach, from where they can also grow into tumors. Gastritis caused by bacterial infection leads to advance complications as cancer, which lead to indigestion. Smoking, overweight, and obesity are some identified culprits. This is an irreversible condition caused by damage to the vagus nerve. It prevents the emptying of food from the stomach naturally. Diabetic people mostly suffer from this Gastroparesis. Finally, it ends up giving heartburn, bloating and indigestion problems. Unhealthy or not properly cooked food will cause irregularity in stomach flora thereby infection. Mostly it is of bacterial origin but some may be of viral background. The bacteria can cause diarrhea and several other painful conditions finally leading to indigestion and stomach ache. It is one of the major causes of indigestion. Irritable Bowel Syndrome affects people mostly in late teen ages and early 30’s. It is a mixture of belly discomfort and troubled bowel habits. Bloating and cramps are common which leads to unhealthy bowel ecosystem. Pancreas is one of the important organs helpful for the process of digestion. They will release some powerful digestive enzymes or juices into the small intestine. These juices help in digestion of food. Pancreatitis is the inflammation of the organ. The inflammation causes the enzymes to get activated before the release leading to injury of the pancreas. Lack of enzymatic secretions causes indigestion and discomfort. Disease of the thyroid gland where the production is low causes indigestion. It is not in the direct sense but lowers the levels of thyroid hormone cause acid refluxes which cause dyspepsia. Must read: How to boost your metabolism? Are there any medications that cause Indigestion? Side-effects of certain medications can cause Indigestion. Here is the list of medicines that cause Dyspepsia. 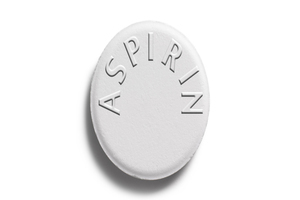 Aspirin is one of the most recommended medications to avoid blood clot. But over the time, a regular use of it causes stressing of stomach lining which leads to heartburn and indigestion problems. Usually, the hormones are processed through the liver. The liver releases a chemical called bile which causes indigestion when released in the stomach. Steroidal drugs cause disturbances in the stomach ecosystem as their side effects may cause dyspepsia. Some antibiotics and other thyroidal medicines can also cause indigestion. Well as it is already mentioned that indigestion has many causes, one amongst those several causes is lifestyle induced indigestion, let us look deeper into this problem caused due to lifestyle and habits. When the person is stressed, they eat in an abrupt pattern that is too fast and too much. High-fat foods also cause indigestion. Too much of alcohol can erode the B12 layer from the stomach. It affects the absorption and hence causing indigestion. This is one of the modern day lifestyle related problem which leads to most of the problems. Smoking causes too much of heartburn and reduces the secretion of saliva in the mouth. Low saliva means low food breakdown and ineffective digestion. There can be ‘n’ number of symptoms that varies in individuals based upon their eating and lifestyle habits, but there are certain classical symptoms of indigestion that are given below. People may have one or more of the following symptoms or signs of Indigestion. Abdominal pain – Due to discomfort in the belly region the pain can be localized or referred to other areas. Bloating that is the feeling of fullness. Excessive gas – it includes belching, burping or flatulence. Nausea is the typical symptom of indigestion. It can be accompanied with vomiting. The acidic taste in the mouth. Indicative of stomach ailment. Sounds produced by stomach discomfort. It may be gurgling, rumbling or growling. Constipation or diarrhea, they are common. The burning sensation in the stomach or upper belly. There will be a decrease in appetite. The best way of treating indigestion is to prevent it by avoiding the foods and situations that seem to cause it. Keeping a food diary is helpful in identifying foods that cause Dyspepsia. 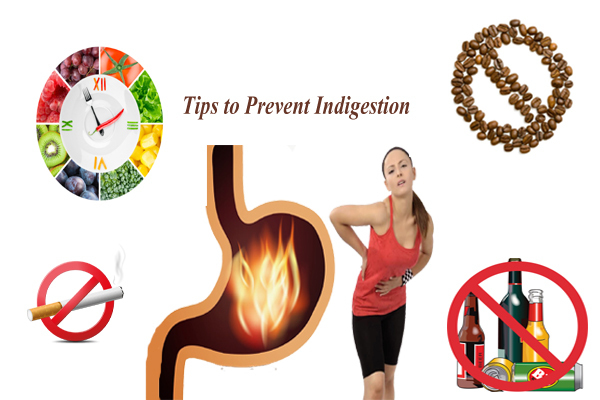 Here are few tips to prevent indigestion. Follow these to improve your overall digestive health. Small meals are always preferable. Not only from calories perspective they also relax your stomach. The stomach doesn’t have to work for long and hard. Slow biting will help to work your digestive juices for long on the food. This will start digestion in the mouth itself thereby reducing the stomach’s load. Further, it will lower down every problematic situation. There are many foods which are healthy in nature but too much of them will harm. Acidic foods such as citrus fruits and tomatoes in large amounts should be avoided. Cut back on the foods and beverages that have caffeine in it. Caffeine produces acidic environment inside, so it will only aggravate the problem. Stress is one of the major culprits which triggers B12 erosion. Relaxation and meditation techniques should be done to cast it away. Smoking is one of the major reasons behind gastric problems. It is suggested to quit it as soon as possible. Even if it can’t be quit at the moment then stop lighting it soon before or after the meal. Since during the meal time it irritates the stomach. Lower down the level of alcohol intake, as alcohol erodes the stomach layer as well. Avoid tight clothing’s as they put pressure on the stomach. This pressure can move the food back up into the esophagus. Do not start exercising immediately after the meal. And never have the meal right after the exercise. 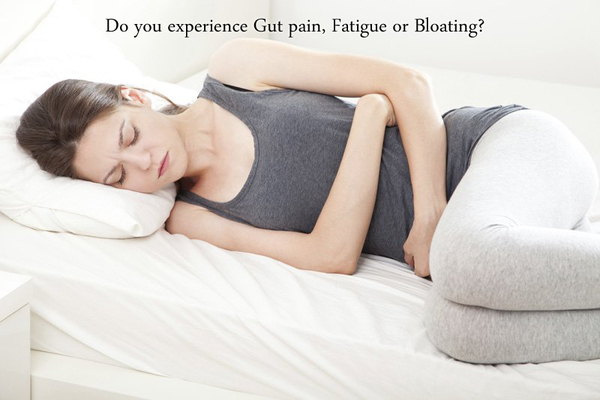 Since the blood flow is not towards the stomach, the digestion process will be weak. There should be at least 3 hours of wait time before you are going to bed. This up time is utilized by the body to digest the food and metabolize it. Are there any possible treatments available apart from precautions? Yes! There are many ways to treat indigestion depending upon the severity of the case and what causing it. By making a few simple changes one can ward off indigestion. Losing weight helps a lot if a person is overweight. One should prefer healthy and safe modes of loosing weight to avoid the complications. Avoid the Foods which make the indigestion worse. These foods include spicy and fatty foods. There should be a strict no to caffein-containing drinks such as tea, coffee and also alcohol. Since to give up smoking at one go is impossible you should start making small changes. Stop smoking right before or after the meal. If the symptoms are of night indigestion, then you should not eat 3 to 4 hours before sleep. Before sleeping prop your head up with the support of few pillows. With raising the head level a few inches up help in gravitating the content of stomach down. It avoids the acid to reflux in the oesophageal tract. Since stress also increases the production of stomach acids, try some relaxation techniques before eating food. Talk to the general physician if you think you are experiencing digestive problems after the initiation of the medications. Alternative medicine will be prescribed by the general physician if the condition persists. These are the best medicines for the relief of Dyspepsia. These are immediate relief providers for mild to moderate cases. It neutralizes the acid in the stomach thereby reducing its irritation. They are easily available in pharmacies as an over the counter drug. Antacids are available in both liquid and tablet forms. Since antacids have the limited duration of effect, it is dose dependent. 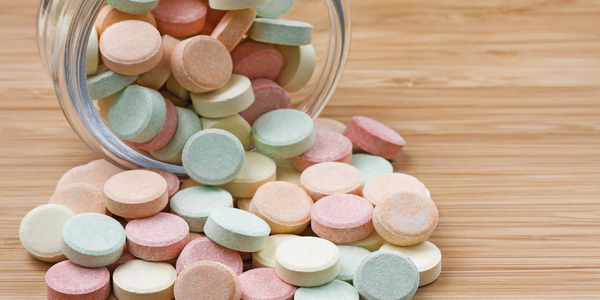 Antacids containing alginates are useful in treating acid reflux. Alginate forms a layer of foam around the surface of your stomach contents. This causes the acid to stay away from the oesophageal tract. Usually, your General physician will prescribe the alginates for dyspepsia. Antacids containing alginates should be taken after your meals as this helps the medicine stay in your stomach for a longer time. The problem with persistent indigestion is that they are not treatable with antacids and alginates. But the possible medications, in this case, is PPI (Proton Pump Inhibitor) and H2 receptor antagonist. These are the ones which prevent the acid production in the stomach. They are available in the form of tablets and are available on prescription only. One should administer PPI with caution as it interacts with other drugs. So ongoing medications need to monitor as well. Check both Warfarin and Phenytoin to treat this. To get the endoscopy done, PPIs are contraindicated. Avoid using them 14 days prior to endoscopy. A few side effects like a headache, dizziness, flatulence, vomiting, skin rashes may occur using PPIs. If antacids, alginates, and Proton Pump Inhibitors all fails then, the final option is H2 Receptor Antagonist. There are mainly 4 H2-receptor antagonists namely cimetidine, famotidine, nizatidine, and ranitidine. These works by bringing down the acid level in your stomach. They are available in both liquid and tablet form. Avoid H2 Receptor Antagonist 14 days prior to endoscopy. If Helicobacter pylori are causing the indigestion, then the prime focus is to get your stomach clear of the infection. Since your stomach gets clear after the removal of the causing organism, the indigestion ends as well. The treatment course for the condition includes proton pump inhibitors. Your GP will prescribe two antibiotics and a PPI. This is called the triple therapy and usually you need to take them twice a day for 7 days. Continue this therapy as such to know its effectiveness. The modern world has bestowed so many gifts to humanity. With the advancement in the field of medicine, the comfort has increased manifolds. But the injudicious use of the gifts can cause serious troubles as well. Indigestion is a common problem to almost everyone these days. It affects from a very young age and can be persistent for a lifetime. The eating habits, lifestyle habits, and other medications have caused the condition to grow worse. If the stomach is not happy, then the whole body suffers. The food we eat is not completely going to get absorbed for the growth of the body. Hence the remaining may cause the symptoms of Dyspepsia. Therefore, Indigestion is not a fatal disease, but the continuous misery of it makes it unacceptable. The treatments are easy and available, but continuous discomfort is not the answer to not being fatal. So, the best possible way is to prevent the condition before it even starts. So, Eat Healthy, Stay fit and have a long happy life.